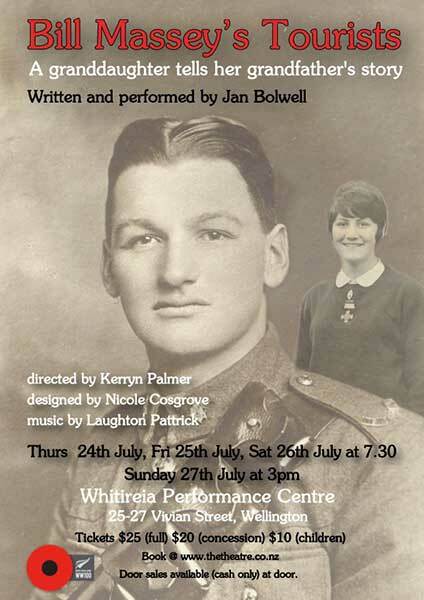 This sixty-minute solo play is about Jan’s grandfather, Arthur Gardiner’s experiences in World War One. 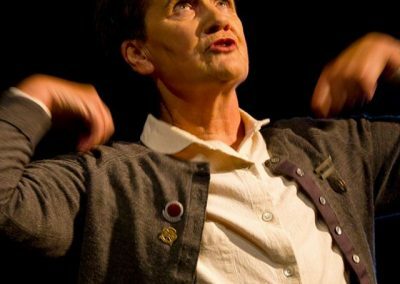 “If you can survive Passchendale, you can survive anything,” says Jan Bolwell’s grandfather in her third and most poignant solo play about her family. Though part fiction and part family stories, it conveys with a compelling simplicity what it was like for a 20 year-old New Zealander to be thrown into the maelstrom of bloody war. A desk, a chair, a screen for slides and a string of flags provide the setting for young Jan’s class project about the war to end all wars. Jan cautiously approaches her uncommunicative grandfather for stories and details of what it was like and what happened to him. Like many soldiers he refuses to talk about the war or even attend RSA meetings and Anzac Day parades but Jan persists and eventually the old soldier, who was hospitalized, had electrotherapy shock treatment, and lost so many of his mates to both enemy and friendly fire, starts to tell Jan what it was like. 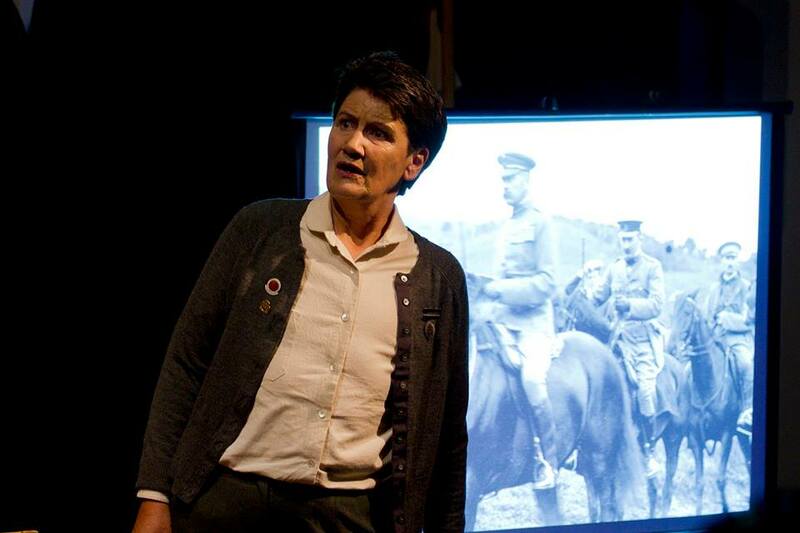 It is in some ways a one-woman Oh What a Lovely War whose original director, Joan Littlewood, once said that she liked emotion in the theatre because the word means “something that moves forward. 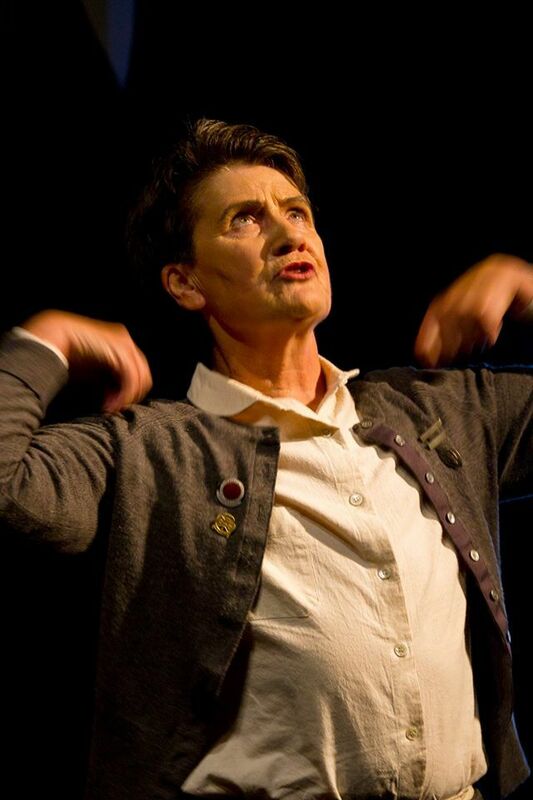 Towards people.” Jan Bolwell’s performance moves determinedly towards people through story, characters, song and dance. … highlights the physical and mental agony of war with an emotional impact that is overpowering as the dancer moves to Handel’s Ombra Mai Fu … and slides of men in the trenches show us the reality. At the heart of the play is a short dance that highlights the physical and mental agony of war with an emotional impact that is overpowering as the dancer moves to Handel’s Ombra Mai Fu sung by Janet Baker and slides of men in the trenches show us the reality. 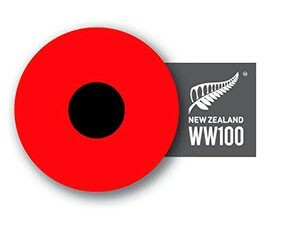 There are snapshots of the blind patriotism of Frank Milner, Headmaster of Waitaki Boys High, the brutality of sergeant majors, and the effect of the war on Private Bolwell and his mates. There are the familiar songs (If you were the only girl in the world) with unfamiliar lyrics which were created by the troops. Most of the music is arranged by Laughton Patrick. Out of all the death, blood and chaos what does it all add up to? Not much says Jan’s grandfather except one’s mates; they are the ones who matter. 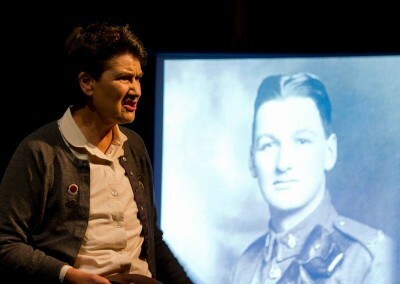 Amid the plethora of plays, television dramas and films produced to commemorate the centenary of World War One – the so-called ‘Great War’; ‘The war to end all wars’ — Jan Bolwell’s Bill Massey’s Tourists stands out as a very personal work that distils to its essence so-called humanity’s endless struggle with itself, in the pursuit of … what? Billed as “the third in a trilogy of solo plays Jan has written [and performed] about her family”, this is in fact her fourth solo show. Her first — Off My Chest (2001), about her experience with breast cancer — was autobiographical and mostly a dance piece. It was her investigation into the genetic source of her powerful drive to survive that generated her second solo show — Standing on My Hands (2002), about her father’s experiences in World War Two — and this involved more acting as such, along with some dance. Acting, enhanced by physical skills that allowed her to fully inhabit ‘old’ and ‘young’ bodies, predominated in Here’s Hilda! (2006): her absorbing and often very funny portrait of her maternal grandmother, Hilda Blair Gardiner MBE. Bolwell has also written and performed in multi-cast plays with dance — Double Portrait: Finding Frances Hodgkins (2009) and Dancing in the Wake: the Story of Lucia Joyce (2013)* — and all this century she has directed, choreographed and performed with the Crows Feet Dance Collective, most recently producing The Armed Man, a full length dance work about World War One with 40 dancers (to be remounted in early 2015). 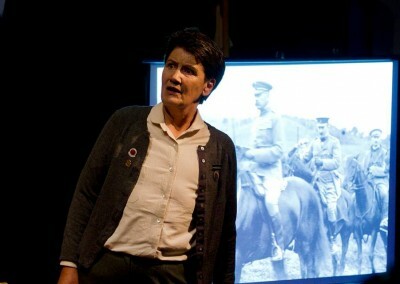 Also looking at WWI, Bill Massey’s Tourists — developed with Bolwell’s long-time dramturge Ralph McAllister and director by Kerryn Palmer — tells the story of Bolwell’s grandfather, Arthur Gardiner (husband of Hilda), through Jan’s gauche and naïve yet determined schoolgirl quest to extract it for a history project. In effect we are treated to a dramatisation of her school project. By way of a ‘title page’, a consciously ‘am dram’ start launches The NZ Patriotic Society’s Lord Kitchener-inspired quest for “Men! 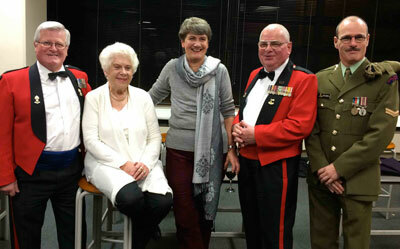 More men!” — asking us to identify with those who enlisted as the titular ‘tourists’. 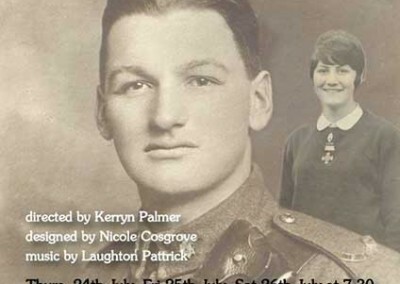 Having to reconcile the image of handsome young Arthur in uniform — “The only one for me,” said Hilda — with the grumpy old man who huddles and coughs by the coal range in Otago gives us a clear indication of the journey ahead. Bolwell plays out the struggle she, as young Jan, has to get him to talk, then takes us back to his experience with his best mate Cyril and Hilda’s little brother Georgie, whom they have promised to look after. And it is what finally happens to Georgie at Passchendaele that crystallises the whole appalling debacle. In between we get ‘The Battle of the Wozzer’ in Cairo’s red-light district, the arduous training at Sling Camp and the progression to even tougher times in Étaples (“Eat Apples” the Kiwi’s called it). There is nothing heroic and everything fallibly human in her characterisations. The drama is variously leavened, heightened or seasoned with poems and propaganda set to music by Laughton Pattrick and popular songs from the trenches — and it has to be said that Pattrick has brought Bolwell’s singing skill up to a whole new level. There’s a moving dance sequence, too, set to Handel’s ‘Ombra Mai Fu’ sung by Janet Baker and accompanied by haunting images (AV Designer, Andrew Simpson). Presented in the simplest of settings festooned with red, white and blue pennants (designed for touring by Nicole Cosgrove, lighting designed by Janis Cheng), Palmer and Bolwell ensure the play’s points are well made through well-pitched performance and pacing, abetted by the skills of technical operator Grace Riddell-Morgan. In a world where wars continue to dominate our news, Arthur’s experience as a soldier, Jan’s quest as his teenage granddaughter then her point of view as a university student protesting the Vietnam War, combine with our collective memories and differing perspectives to make Bill Massey’s Tourists a profoundly insightful and mutually personal shared experience. 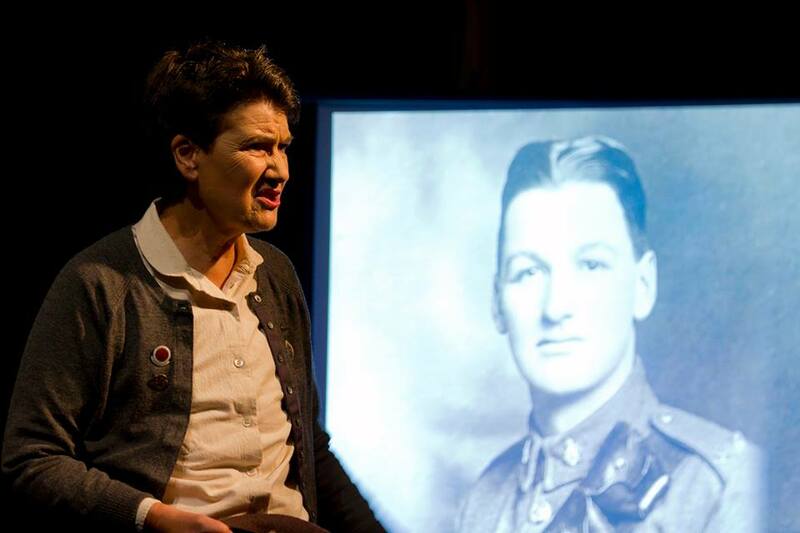 Despite the simple presentation, all the complexities of our attitudes to war are dramatically represented in the inner conflicts Bolwell feels between her general attitude to war and her compassionate understanding of her grandfather’s — and father’s — experiences. No matter how entrenched you are in your opinions, there is every chance this play will move you. *DISCLOSURE: I performed with Jan in Dancing in the Wake and therefore wondered whether or not it was appropriate for me to review Bill Massey’s Tourists. I take the position that my professional respect for performing arts colleagues requires an honest and informed response, and it would demean us all to allow personal relationships to colour my judgement. If anything, those I know well are more likely to face more rigour in my unconscious efforts to prove I am not showing undue bias. Besides, Theatreview publishes other reviews to allow for comparison.